Dreaming of a home straight from the pages of a glossy style magazine? Aren’t we all. However sometimes our available space simply does not give us much room to work with. But that’s okay. You simply need to be creative in finding furnishings and decor that compliment the space you have. Team this with a few key pieces, and you too will have a house you are proud to flaunt. Under the bed is a great place to create extra storage for a small home. Many beds already come with built in storage options. Or you can create your own. 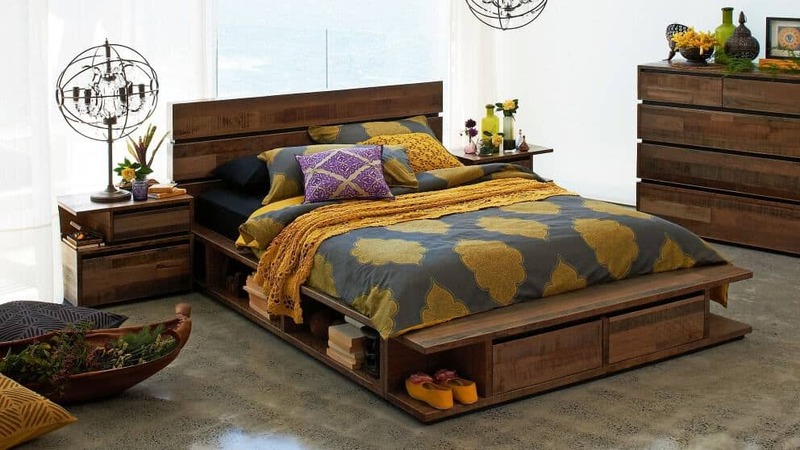 Storage bed – Finding your bedroom a bit too squishy for comfort, how about under bed storage that blends right in. You might even be able to eliminate the need for bedside tables to save space. Shelf Bed – This one may encourage a bit of clutter with the open shelf style but it does give some extra bedroom storage. Under Bed Storage – A few of these under bed containers can be a great way of introducing extra storage space into your home. Vacuum bags are also great for this. A small home office or study is a reality for many, but there are plenty of ideas to give you an organised space designed for productivity. 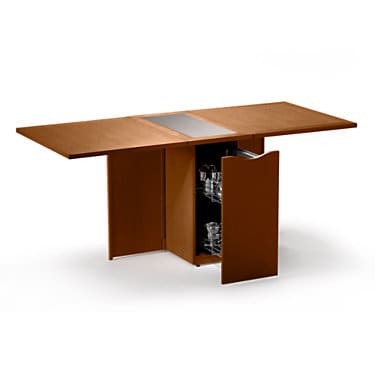 Corner Desk – A small home office or perhaps you only have a corner in another room to utilise. A corner desk is a perfect solution. 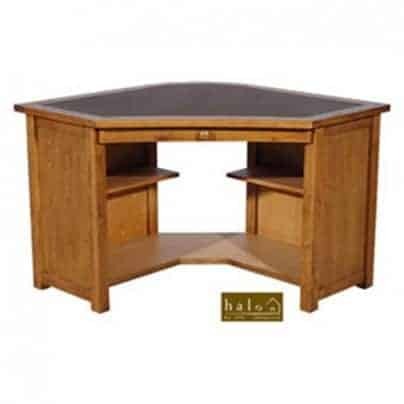 Laptop Desk – If you only have the bare minimum of home office supplies, such as a laptop, something as simple of this may be ideal. Command Centre – Or if you simply need an area to organise all the important items for the family, this could be perfect. Behind Door Caddy – This is a very cool idea for some sneaky storage. This caddy is hinge mounted behind a door to give some extra shelves that are only visible when needed. Great for behind and office door, or bathroom or bedroom… anywhere really. Kids rooms can be one of the worst areas to organise when the space is limited, so I absolutely adore some of the kids bed combos you can get these days. Plus you may find a place to hide some of the toys that take over the house. 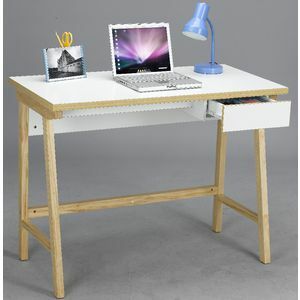 Desk bunk – Room for a desk and bed all in one, they can do their study without needing too much extra space in the room. Shelf bed – This one I adore but unfortunately am unsure of the source as I found it via a google search as just an image, but the shelves make for great storage plus a trundle bed below. 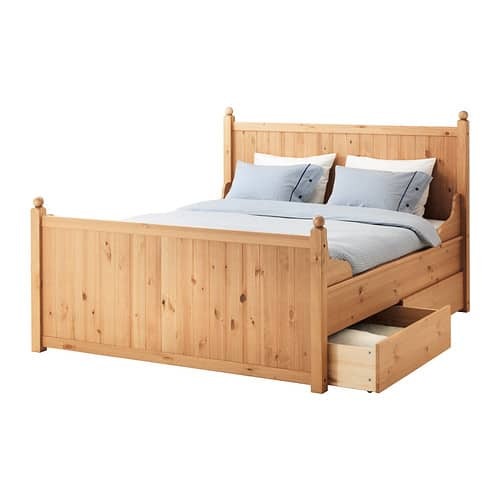 Single with Trundle – If the other beds are a bit elaborate, maybe something more simple is best still with extra storage plus a trundle. This is what I hope to get my daughter for her first big girl bed or something similar. Couches that double as beds are always useful to have. Hidden storage. Floating shelves. Wall mounted electronics is also a fabulous way to save space in your living area. 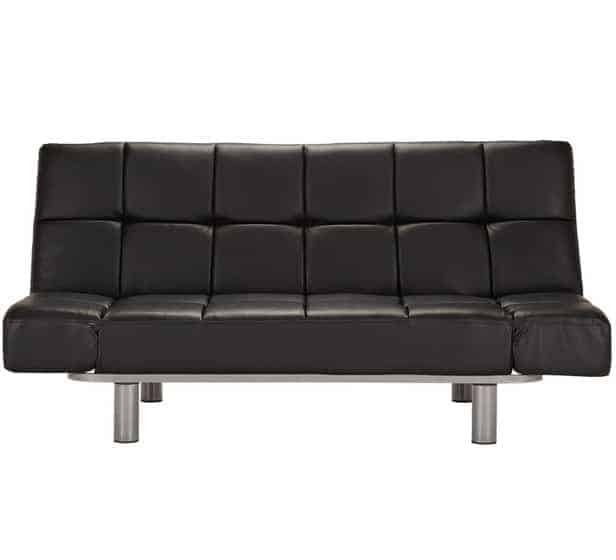 Futon sofa – I’m a fan of futons simply because if you don’t have room for a spare room, at least these simple couches will convert into a spare bed. 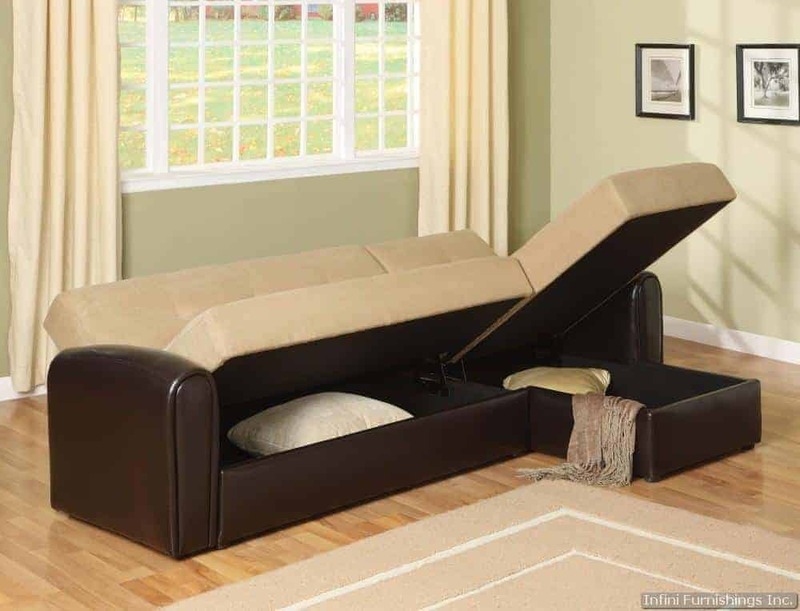 Hidden Storage Couch – This is cool because not only does it have hidden storage, it also converts to a double bed. 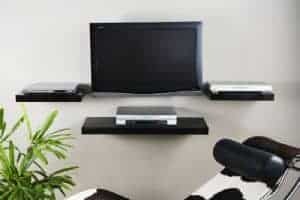 Floating Media Kit – This is a perfect way to eliminate the need for an entertainment unit to save a whole lot of space. Get your TV and devices up on the wall and out of the way. Sometimes a dining room is almost a luxury as a lot of homes barely have room for a full size dining table or open plan living. Find a table that can convert from small family to entertaining a crowd. Storage table – This thing is kind of amazing. 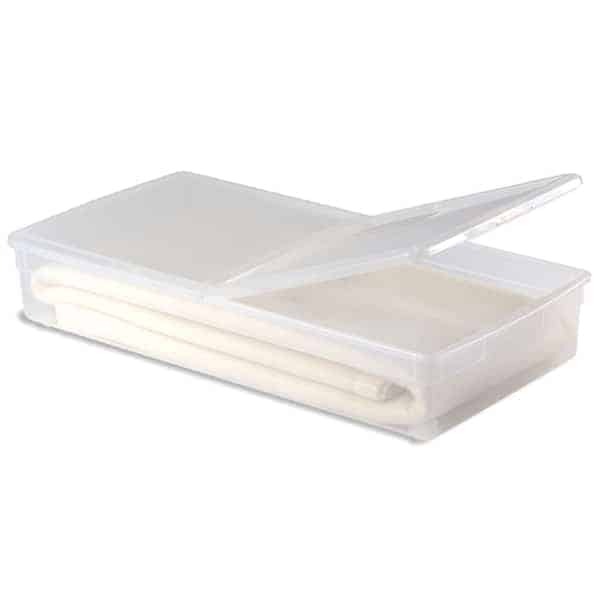 Not only does it fold down to a box size, but it has hidden storage as well. Very innovative. 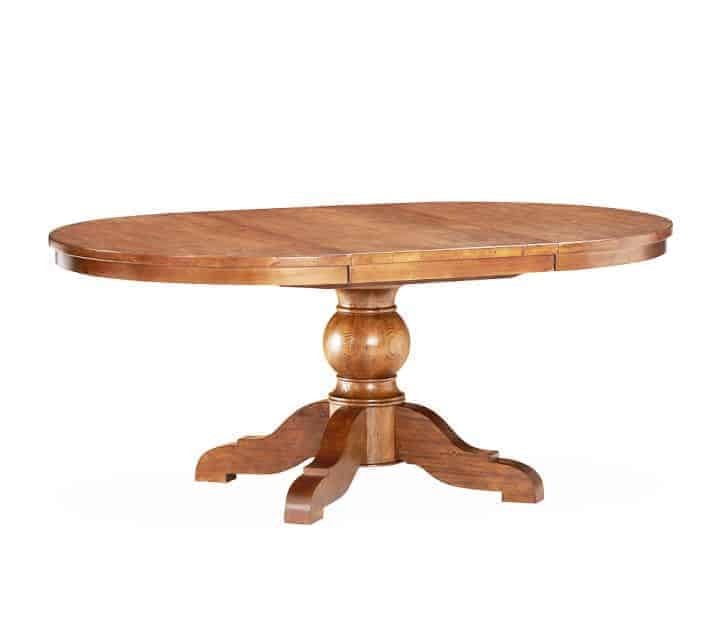 Drop Leaf Table – Converts from circle to oval with expansion option. There you have it. 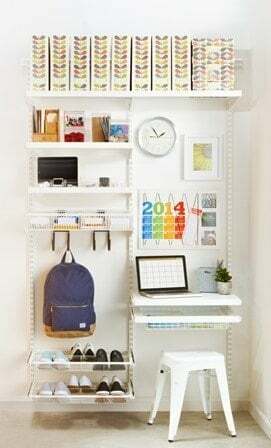 Some very nifty space saving furniture and storage ideas for decorating a small space. Perfect for apartment living or simply a smaller style house. There’s no reason a small space can’t be super trendy and stylish too. What is your favourite storage solution in your home? Lots of cool ideas here, I am trying to find the right bedroom suite – it is really hard to find one that ticks all the boxes and comes in at the right price. I’ve always liked the idea of under bed storage but have never been able to bring myself to do it. I have a block in my head that it is bad feng shui or something and I just cant do it. So much wasted space. It can get pretty scary under there. I recently found a rubber duck, sippy cup, shoe and lots of other unknown objects under our bed. The main bed is far too low for storage unfortunately but my spare bedroom has the space maximised. Ikea is amazing. I wish I could Ikea design my whole house lol they are the best for space saving ideas. Some great ideas here Holly. IKEA is definitely my go to shop for space saving ideas! 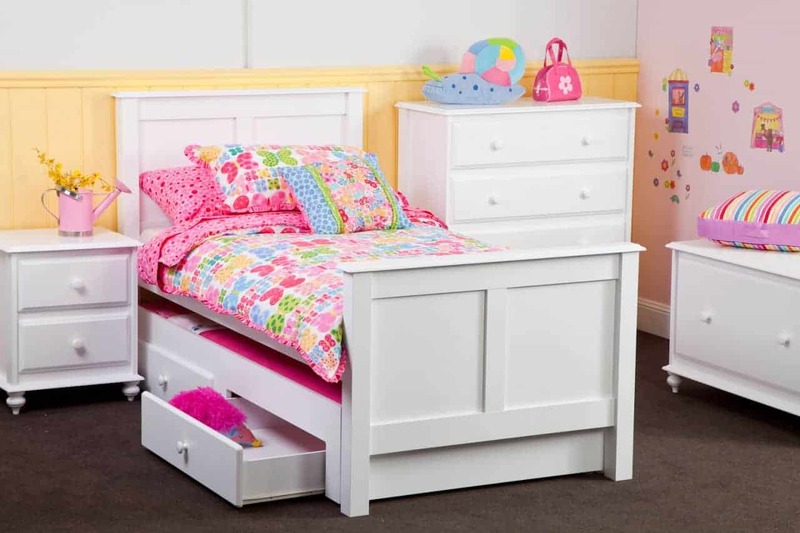 Drawers under the kids beds are fabulous for storing toys neatly away. I always wished our large ottoman had storage inside as it seems like such a waste of space. I had never seen the behind the door storage before. Totally genius idea! I’m always up for more shelf space! 😛 These are awesome finds! I slept on a futon couch for the better part of a couple years, and I love that hidden storage couch too! I am such a fan of hidden storage. Not so much of futons for frequent sleeping though but that’s because ours is old and horrible haha needs up upgrade like the one in the post. I love hidden storage. Unique furniture is one of my favorite things to pin on Pinterest. Thanks for the post. These are all great storage furniture pieces. My son has the bed with drawers underneath and it is awesome! Thanks for sharing with us at the #HomeMattersParty this week. i have underbed storage on our bed, nice big drawers, they are so good love them. When we bought my sons bed i looked for one that was high enough off the ground so i could put plastic tubs with rollers under them. Makes the room soooo much tider. Great ideas and posts Thanks for contributing this post to The Sunday Brunch Magazine! Lovely! I have an ensemble bed that fits most nothing under it! Next bed will be with drawers like yours. I’ve seen some good stuff here! I love hidden storage too. Greets, Storage Downham Ltd. Thanks for the great post, Holly. I think there are 2 more options for space saving bed: sleeper sofa and bunk bed with storage. And bunk bed is the best space saving option in my opinion. I’ve been writing a lot about bedroom furniture that saves space lately. 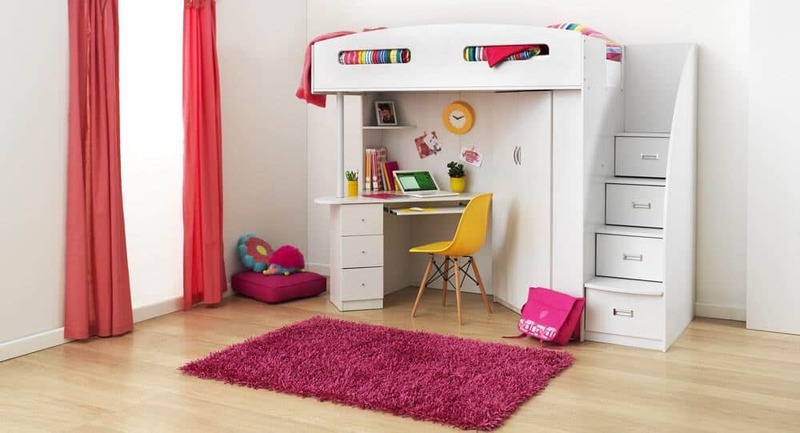 Glad to see that platform beds with storage and loft beds with desks underneath are on your list too! Thank you so much Holly for this epic post. Who wouldn’t want to save a couple of space where it wouldn’t cost more than a few dollars? We actually have a bed at home that has a lot of space where we store most of our belongings. Out of all the ideas, I found that using the storage bed can actually free a lot of space, especially in the bedroom.